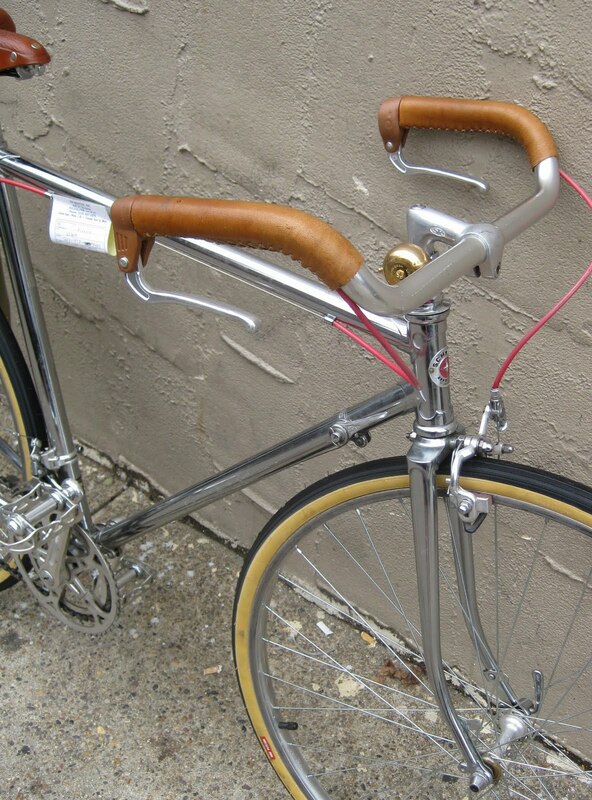 So it probably seems like I have a chrome bicycle obsession, well I think I do. 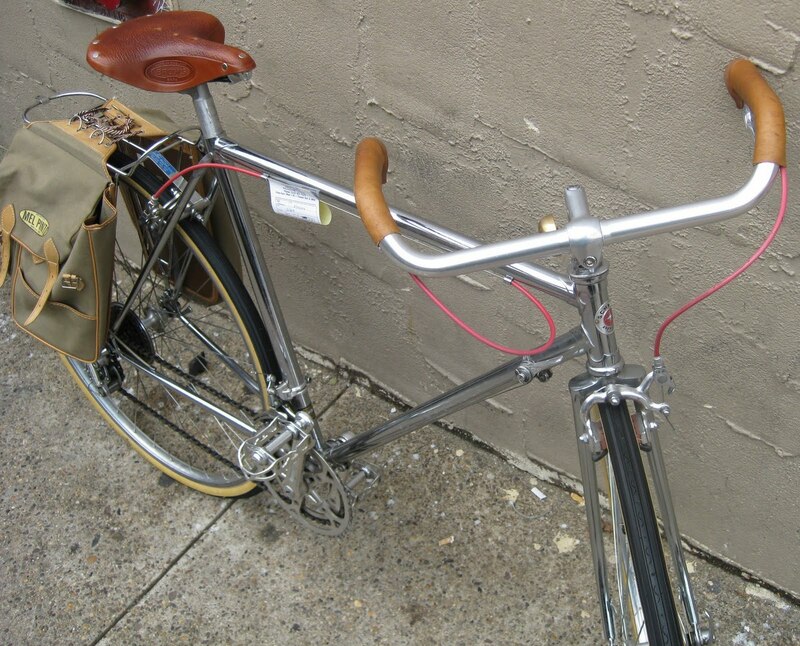 The other day I was working at the shop, and went up front to spot this chrome Schwinn in the shop for some minor repairs. 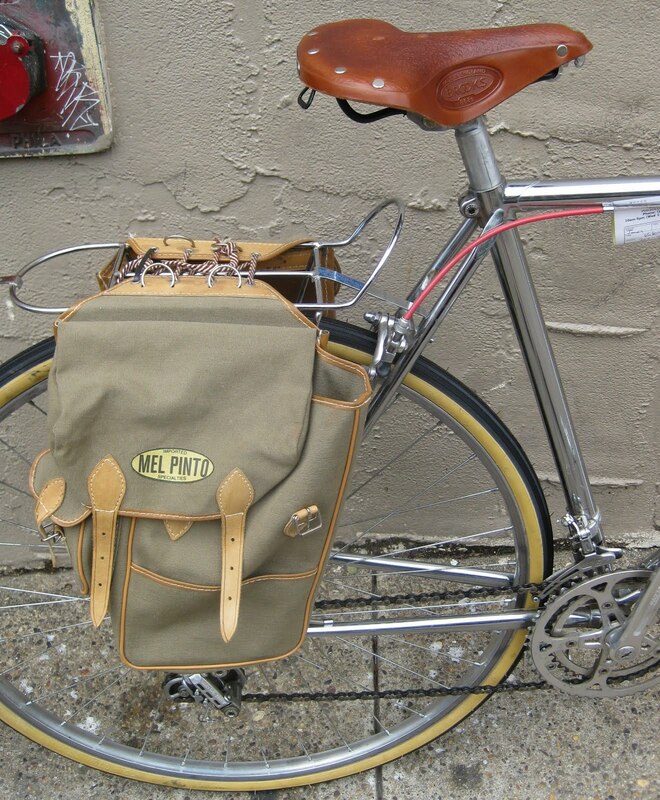 Outfitted with a Brooks B-72, leather sewn grips(probably Velo Orange), and even a set of Mel Pinto panniers. 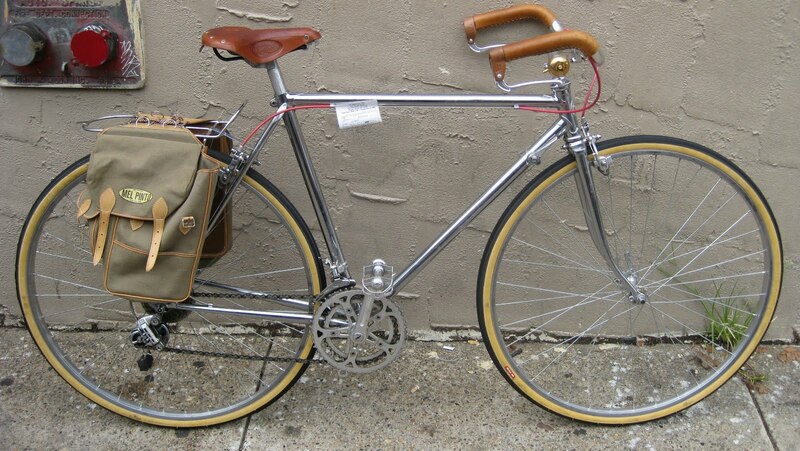 This nice looking bike could be part of my posse anyday of the week. 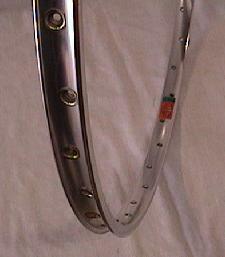 those are sewup rims, by the way, so I don't think you would have wanted them. The ownership recently changed with Mel Pinto, now under Wayne Bingham, or Classic Rendezvous Cirque fame in Virgina.